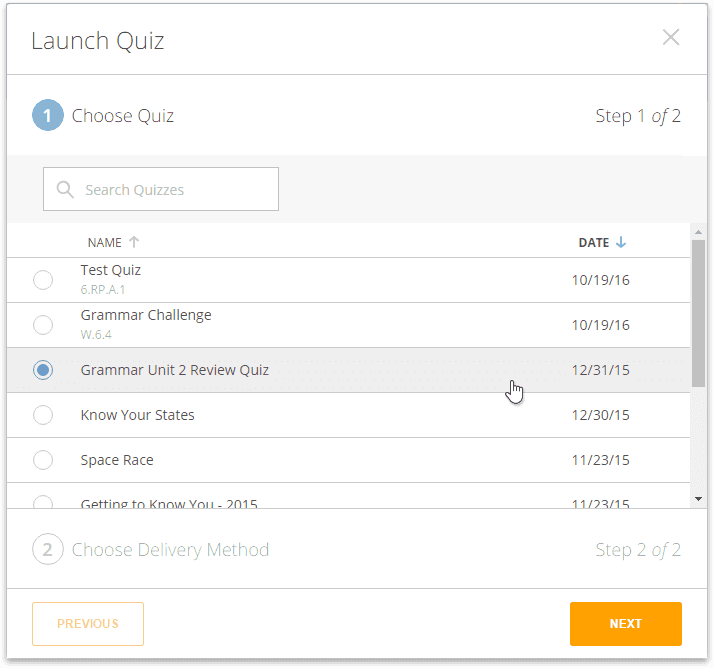 Only students see the randomized question and/or answer order; quizzes are ordered normally in Live Results and Reports. 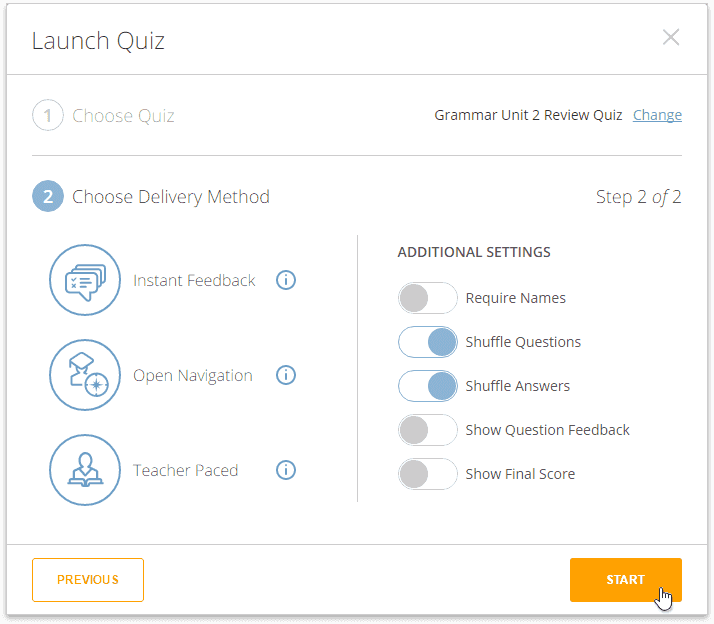 The option to Shuffle Questions is not available when delivering a Teacher Paced quiz. In the Additional Settings section, enable the Shuffle Questions and/or Shuffle Answers toggle(s).